Why Are My Dogs Fighting Over Me? Seeing two dogs fighting over the owner's attention is not at all a rare sight. After all, dogs are known for fighting over food and sleeping places, so why not add the owner's attention into the mix? After all, most dogs are eager to greet their owners when they come home and crave being touched, talked to, cuddled and loved. Humans, therefore, become quite similar to other resources dogs may guard. For us humans, this behavior is bothersome and upsets us, perhaps because our social etiquette rules are based on sharing and generosity. Indeed, from early childhood, we are taught the merits of sharing, and possessive behaviors are frowned upon. Back in time, when I was a teacher for a daycare, I was assigned a classroom of toddlers in their terrible twos and threes. This phase is when children don't want to share. "It's mine!" was a sentence you would hear over and over again, as a child grasped a doll and held it tight. At times, fights over toys erupted into ugly hair pulling and even bites. As teachers, it was our job to teach these young children the basics of sharing. Punishing the child for not sharing or forcing the child to give the toy back only caused resentment—an emotion on the opposite spectrum of being generous. There were times I recall, the toddlers were even fighting over me. "I want to go with miss Adrienne!" and then, "No, I go with her" and "No, me, I was first" as the toddlers pushed one another away from me. Now, I am not saying that dogs are exactly like toddlers, but I feel that the underlying emotions are very similar. Indeed, according to Stanley Coren, and based on several behavior measures, it appears that a dog's mental capabilities are close to a human child's around the age of 2 to 2.5 years old. Marc Bekoff also feels that dogs share many human emotions when he looks at the latest canine studies. Back to dogs, the most heated "discussions" seem to take place when the owners came back from work. Possibly, the dogs have been getting aroused and excited even before the owners open the door. There are many cues that cause anticipation such as the car pulling in the driveway, the steps up the stairs, talking and the jingling of the keys. On top of that, consider the drastic shift from being in the home bored all day to seeing the owners again with all their positive connotations. The dogs are possibly waiting all day for this moment. This built up anticipation then spills out as an explosion of excitement with wiggly butts, tail wags, happy panting, jumping, licking and all the greeting rituals dogs are capable of. High arousal states though can easily shift into aggressive ones. Soon, one dog will redirect aggression on the other dog and soon you will have a squabble that may or may not get ugly. It's often one dog that triggers the squabble. The other dog may move away or may try to defend itself. If the other dog moves away, it often ends the dispute. But when the other dog fights back or moves closer again, it may last longer until one or the other decides to end it. In another case, the dogs have a discussion when the owner sits down on the couch and one dog runs up to greet him. Soon, the other dog comes running too in hopes of getting as well his slice of attention. In the more subtle cases, the dog simply gets in between the owner and the other dog. 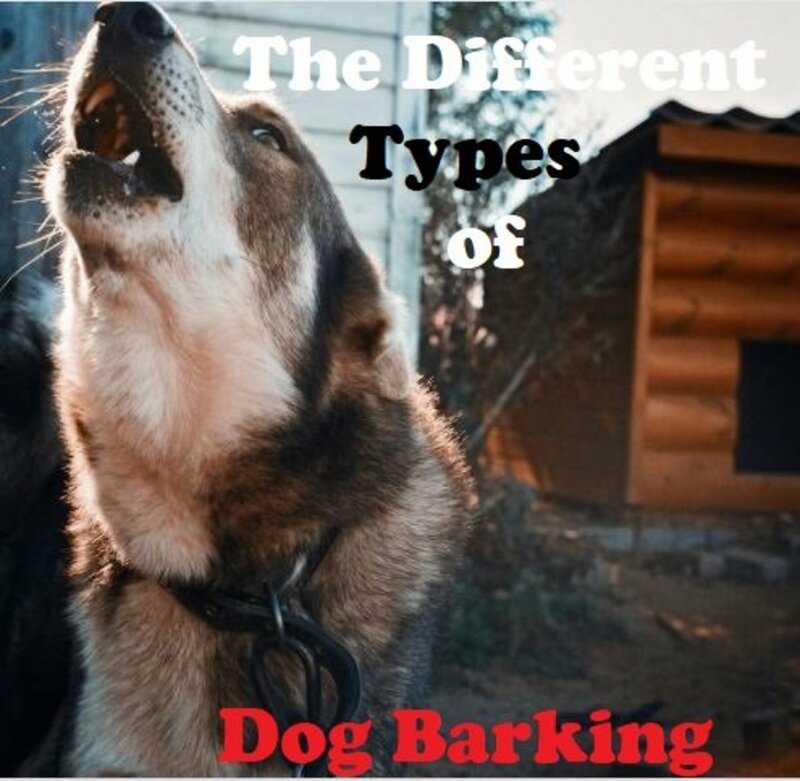 In less subtle cases, within a few seconds, one dog will be acting possessive and will be off sending distance increasing signals under the form of growling, snarling and snapping to the other dog. Luckily, for the most part, these "discussions" end up with nobody getting hurt. It may be loud, noisy and scary with the teeth displays, growls and all, but fortunately, things go back to normal in little time. However, there are cases where things don't go nicely. For instance, if the owner tries to intervene, when both dogs are in such an aroused state, there are risks he may be bitten by a redirected bite. And of course, there are chances the squabble may erupt into a more serious fight. One dog may be saying to the other dog in doggy language "stay away." If the other dog keeps on coming back, the "stay away" signals will become increasingly more significant. It's as if the dog was saying: "What part of my message didn't you understand? I said STAY AWAY!" What to do to prevent these happenings from occurring in the first place? In the next paragraph, we will look at some options. Before going over what to do in the case of dogs fighting over the owners, let's first start off by what NOT to do. First and foremost, the old advice of letting dogs work it out is not as good as thought. I know of countless dog owners who were told by trainers to let their dogs work it out and it ended up in a bloody mess with the bonus of a vet visit involving stitches. No, in that case, working it out definitely didn't work out! Letting dogs work it out may work only for very mild cases, where the dogs effectively use communication. For instance, one dog sends a message using his "words," in this case a growl works fine to convey the message, and the other dog gets the message and moves away. In this case, the dogs effectively worked out the dispute well, nobody got hurt and the receiver got the message. The growling dog was nice enough to "use his words" to communicate and the receiver was nice enough to accept the message without a dispute. Back to the days I was teaching in the toddler classroom, we really valued the ability for the toddlers to "use their words" rather than going straight to hair pulling. We also made sure to promptly praise the children who respected the other child's choices without a dispute. I remember saying something like "Cathy, that was very nice of you!." 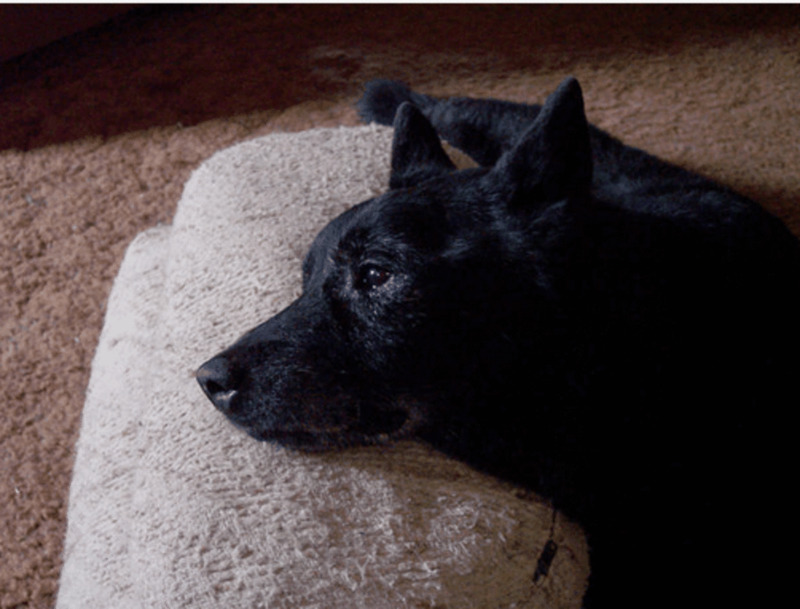 Another old piece of advice that's still quite common is to determining which of the two dogs is "alpha" and supporting his position by feeding him first, petting him first and letting him out the yard first. One major flaw of this theory is that first and foremost it's often unclear which dog is officially the "alpha" because of how social hierarchies in dogs work. The owners may therefore end up supporting the wrong dog, mostly because they have an unclear concept of how social hierarchies in dogs work. Truth is, it's more complicated than thought. 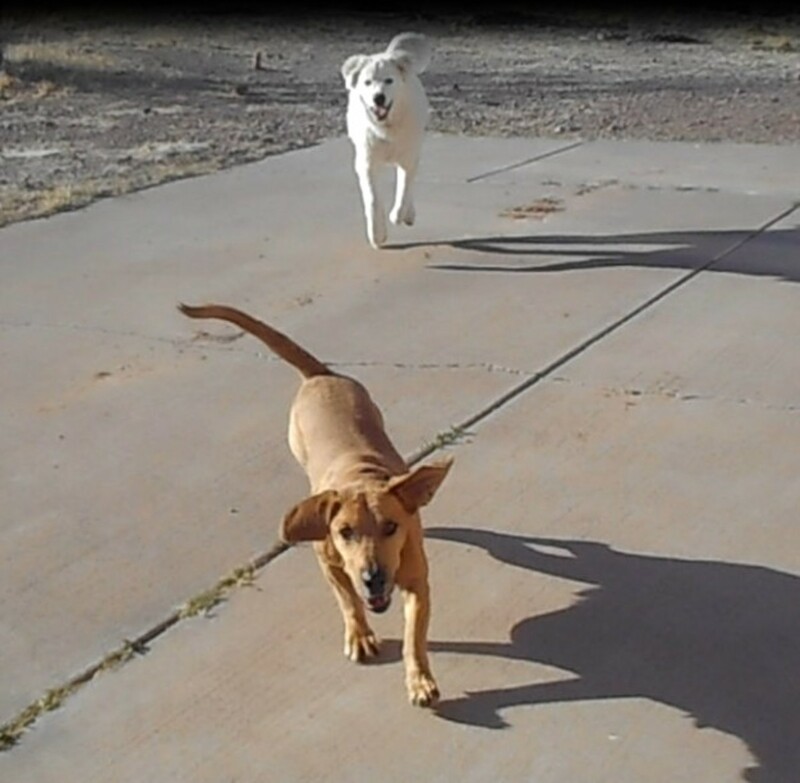 According to dog trainer and owner of Peaceable Paws, Pat Miller "Social hierarchies do exist in groups of domesticated dogs and in many other species, including humans, and hierarchy can be fluid. One dog may be more assertive in one encounter, and more deferent in the next, depending on what’s at stake, and how strongly each dog feels about the outcome. There are a myriad of subtleties about how those hierarchies work, and how the members of a social group communicate – in any species." So you may assume one dog is alpha over another dog because he wants to greet you first, but most likely in another different circumstance, your other dog may be the one getting out the door first. This again is because in reality no one is truly the absolute "alpha;" rather, the hierarchy is fluid, based on context and it's in constant motion. Veronica Boutelle in her book, "The Business of Dog Walking: How to Make a Living Doing What You Love" explains: "It's all about resources, and who wants what the most at any given moment." You may, therefore, end up with Spot guarding the water bowl, Rover in charge of tennis balls and Fido being the first in collecting treats fallen to the ground and this can change from time to time. Veronica adds: "It's all about resources and context, not about temperament. Some dogs have more confident personalities than others, sure. But this is not the same as claiming that dogs spend their time trying to get the upper hand on each other and on us." Last but not least, avoid trying to separate the dogs by grabbing their collars, pushing them away or touching them in any way. The arousal levels of the fighting dogs are high, and you'll be an easy target for a redirected bite. That means, the dog may not want to intentionally bite you, but likely may just because he's very aroused. On top of that, an aroused dog may not apply the bite inhibition he has normally learned to gauge in calmer situations. 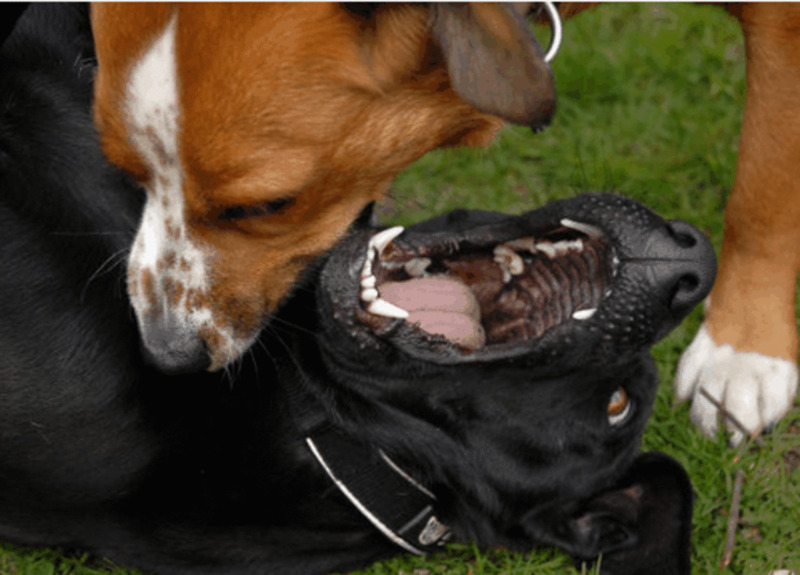 For better ways to stop a dog fight, read this article on how to break up a dog fight. So we now know that letting dogs work things out on their own comes with some risks, and that trying to determine which dog is alpha to support that position is a pointless activity as such absolute position doesn't really exist, so what's left to do? There are many more options. Let's see some of them. Please note: these tips are mostly for very mild cases. 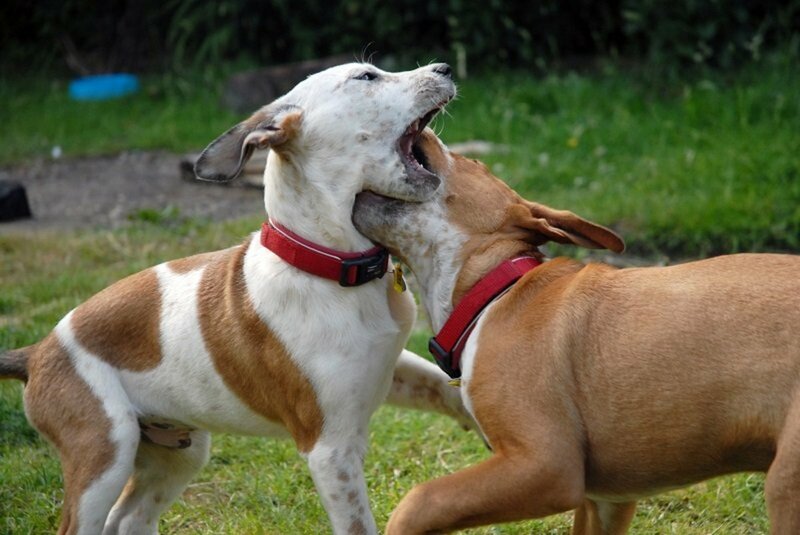 If your dogs are getting into real fights, you're better off playing it safe and seeking professional help. Try to make your arrivals low key as possible. If you are coming home and then throwing a party by giving your dogs loads of attention, you will surely fuel up those arousal levels and light up a fire. Try coming home and ignoring your dogs, no matter how crazy they are acting. And no attention means not even delivering negative attention. From your dog's' perspective, after a boringly long day at home, even talking to them to tell them to get out of your way or pushing them away is a form of attention they may feel willing to compete for. So try opening the door and ignoring your dogs' boisterous greeting. If there is no attention from you, there may likely be nothing really to compete for. In some cases, to change behavior you must create set-ups. 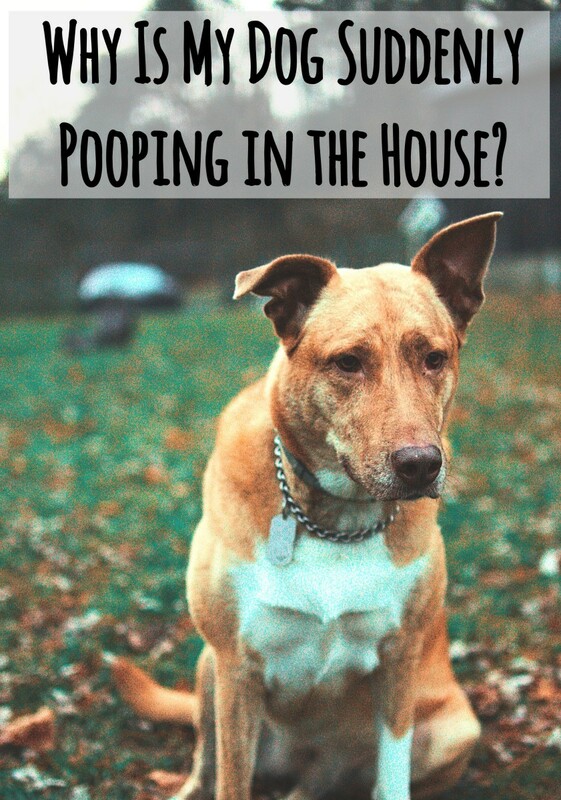 If your dogs tend to have discussions when you enter the home after a long day at work, reserve some time in practicing coming and going to prevent the situation from escalating. Make it a point that you will enter the door, but at the very first sign of a squabble, you will swiftly head back outside. Timing is very important to make your point clear. When there are no squabbles you can slowly enter the home, but be ready to go back outside at the first signs of trouble. The point of this set-up? Teaching your dogs that you only come inside when they are calm. This is also a good way to stop the fighting as once you close the door, the dogs won't have anything left to fight over. Trial after trial, your dogs should learn that their fighting keeps you away, and their peaceful demeanor keep you close-by. How do you deal with the dog who is constantly trying to get to you first? For dogs who are constantly competing, teach them that bullying the other dog around isn't the key to getting what they want. Instead, being polite and patient is, explains Karen B. London and Patricia McConnell in the book "Feeling Outnumbered? How to Manage and Enjoy Your Multi-Dog Household." Once they learn this very important lesson, they'll be less likely to throw their weight around to get what they want. It's very important to train your dogs a cue that stops them in their tracks before too much tension builds up. Some owners may have success with a calm, low pitched "Hey!" at the first signs of trouble, but if that doesn't work, getting louder won't help and may actually add in more drama which may cause tension to escalate. You can try to teach a positive interrupter, by making a smacking noise that tells your dogs to pay attention to you and come and get a treat if they don't tend to fight over food. Karen London and Patricia McConnell suggest interrupting the behavior by saying something such as "Let's go for a walk." So your dogs fight when you are coming home.... think about it, what exactly would you like them to do instead? Maybe teach them to sit when you enter the home, ask them to go to their mat or go pick up a toy? These behaviors help a whole lot because they give the dog an alternate behavior to do that doesn't involve competing. It keeps their mind off fighting. 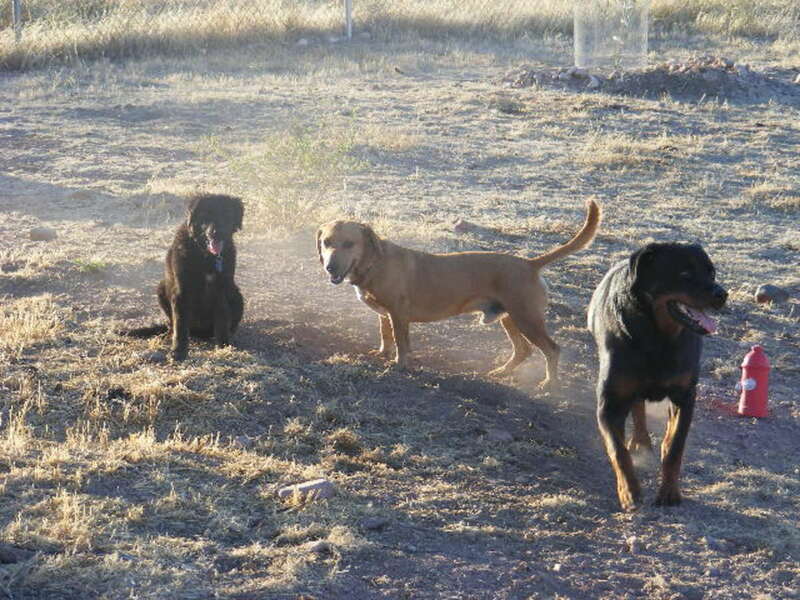 These behaviors may be taught to each dog individually and then they can be brought together. Another great setup involves changing the emotions of the troublemaker dog. So say you are sitting on the couch and both dogs come asking for attention. You may want to have the troublemaker sit/stay and reward him lavishly while you pet your other dog. If your two dogs do not argue over treats, Jolanta Benal suggests slipping a treat to the troublemaker while you give your other dog attention.This way your troublemaker will start realizing that great things happen when you pet your other dog. If you do this over and over, he may even start looking forward to you giving attention to your other dog. A win-win situation! If your dogs are undergoing frequent squabbles over your attention, please seek professional help. Behavior modification comes with risks, and incorrect implementation can make problems worse. 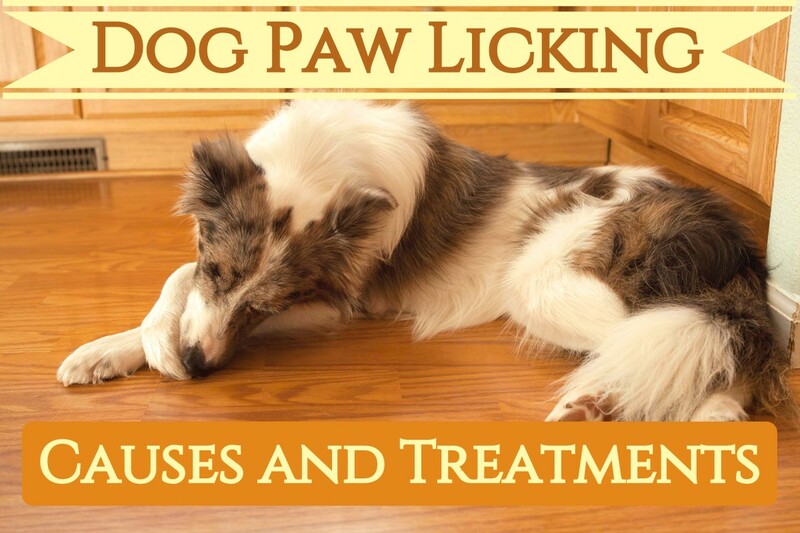 So play it safe and consult with a dog behavior professional. Is your dog protective of the couch? 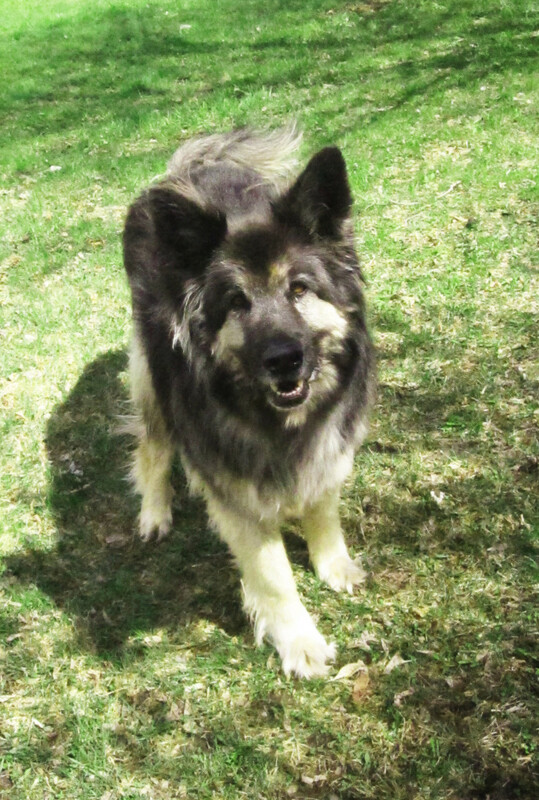 Whether this protectiveness is manifested towards dogs or people, the issue is quite common among canines. Learn what may cause it and how to curb it. Do you own a resource guarder? 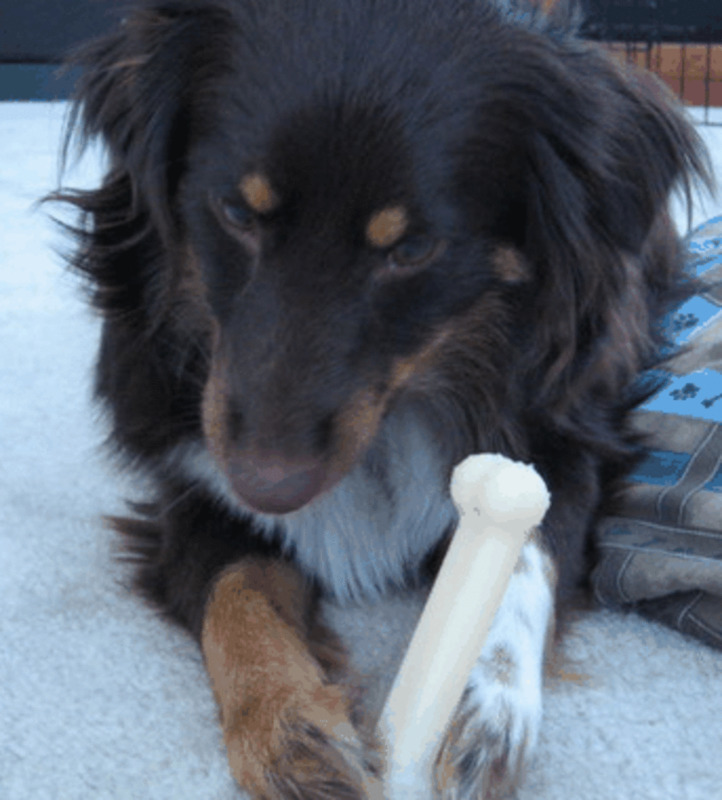 Is your dog possessive over toys, bones, food? Learn effective behavior modification programs. Excellent information. I'd bet that the daycare experience has been a huge benefit in dealing with dogs! I have a Female pit bull that 6 and I got a male thats 14 months and they have been fighting over my attention. I have 4 dogs that range from 45-94 pounds. Three play "flight" for my attention sometimes and I join in, "tickle them" and laugh. But no real fighting. Dogs have a sense of fairness. I treat them fairly and give them all plenty of affection. If I pet one, I pet the other. Everyone knows that they are going to get their turn being fed and being petted or getting toothpaste or sitting beside me. We have a strong no eat or attack family members rule which also applies to the cat, and I enforce it with a loud hey, a finger point now, or in the beginning with physical separation or a smack if need be early on. As a result I have calm dogs. Fear of scarcity leads to fighting--in people and dogs. Mine have separate bowls. A comfortable bed for each of them. And they are each my favorite. They also get real food I cook--not the crap that is sold in stores as "dog food." Hopefully not, but it's good to be prepared just in case there are squabbles between the dogs! Best wishes! Great article, I needed to read this because I have a granddaughter, a 19 months toddler and you are so right about those little bundles of joy. And for chaos, we just got another dog, a 6 months puppy. Hopefully, there will be no fights since they are 4 years apart. Great tips! Unfortunately we just had to put our German Wire Hair down, but we had a tough time when we first rescued him. Our other dog wasn't very happy- this would have been a nice article to have! Thanks for stopping by Billybuc. Nice dog you have there in your profile. Great tips, and we have certainly experienced this with our three. Obviously you know your stuff. I'll be back. Sound advice here something I had experienced in the past and such helpful tips. Awesome advice. I'm glad that mine don't fight over us, but they all do gather at the door to greet us. I've used the ignore method and it does help. Thanks for detailing this. Wonderful hub!